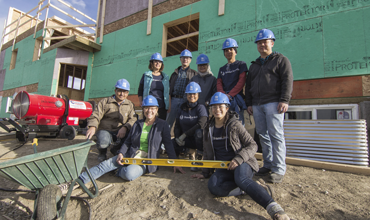 In early 2018, Habitat for Humanity Southern Alberta received approval from The City of Calgary to purchase two plots of land in the Albert Park / Radisson Heights community of Southeast Calgary. Both plots are located on the west side of 36 St.SE, at the eastern edge of the community, bordering on Forest Lawn, between 12 and 16 Ave. 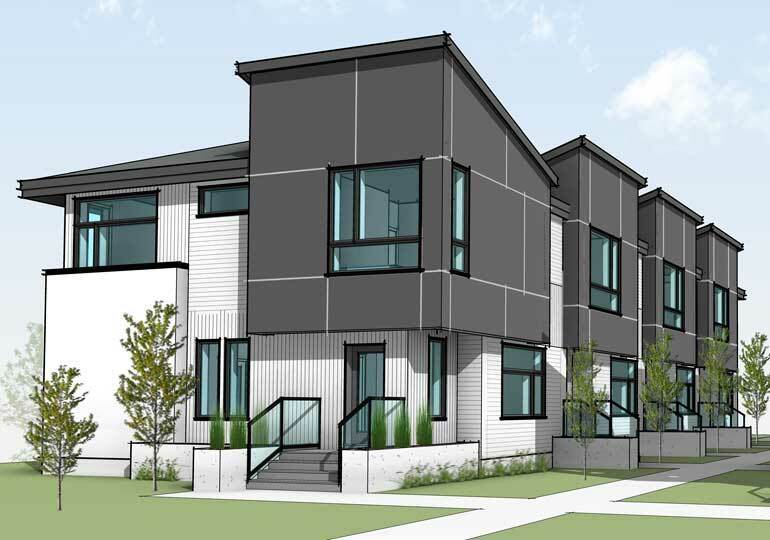 Starting in late 2018 through to early 2020, Habitat will build two duplexes on one plot followed by two four-plexes on the other. This page describes the project to construct the four-plexes and will be kept up-to-date with information for community residents and interested stakeholders. 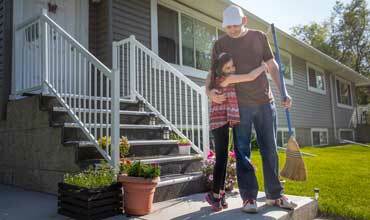 When completed, these homes will be sold at fair market value to purchasers who have qualified for Habitat for Humanity's affordable home ownership program. This project is located on the east side of the 1300 block of 36th Street SE. The land is currently zoned RC-2 so Habitat will apply for rezoning to either MC-G or MC-1 in order to construct four-plexes. Conceptual design has not yet been initiated on this project. 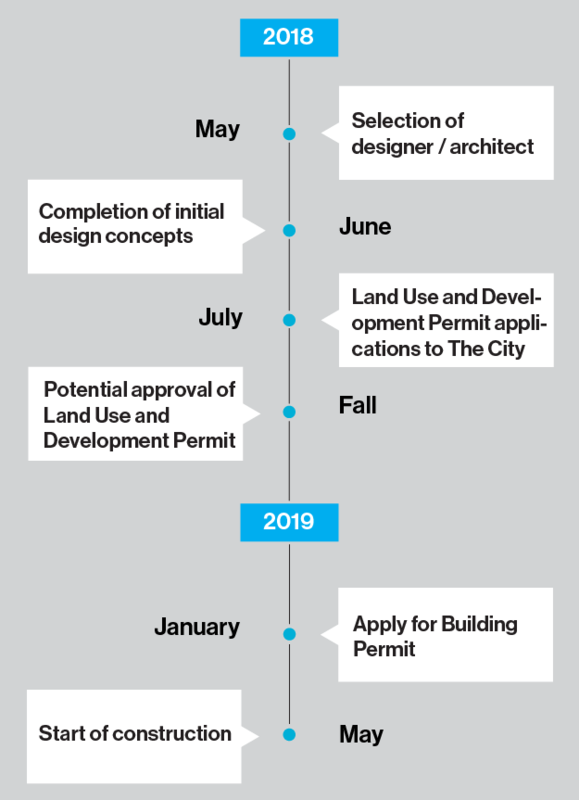 However it will be similar in design to previous multi-family housing that Habitat has completed in the communities of Bowness, Radisson Heights, and Pineridge. You can see examples of the homes we build here. 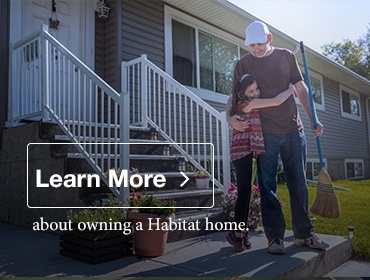 Professional design by Gravity Architecture Inc.
How do families buy their Habitat Homes? 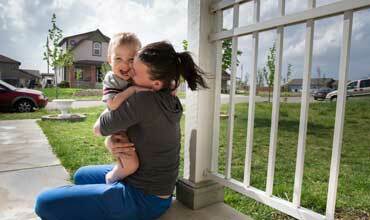 Families purchase their homes from Habitat at fair market value through our unique affordable mortgage model. This is a no-interest, no-down payment mortgage with monthly payments set at no more than 30 per cent of monthly income (reviewed with Habitat annually). How did Habitat select Albert Park/Radisson Heights for this development? Information on this page is accurate at time of posting and will be subject to change through the development of the project.